South Africa was selected as a site to establish Basel Convention Regional Centre for English-speaking countries in Africa in 1997. 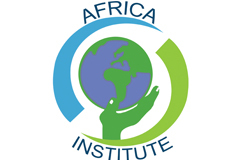 Africa Institute for the Environmentally Sound Management of Hazardous and other wastes, the Africa Institute in short, was established for this purpose as an inter-governmental organization in March 2004 through an agreement between member states. Botswana, Lesotho, Mauritius, Namibia, Nigeria, Tanzania, South Africa and Zambia have ratified the agreement as of today. The BCRC South Africa was formally established through a framework agreement that was signed between the Africa Institute and the Secretariat of the Basel Convention in 2012. The same centre was nominated also to serve as Stockholm Convention regional centre in July 2010 for English speaking African Parties and has been endorsed since 2011 as the Regional Centre for Capacity-building and the transfer of technology by the Conference of the Parties of the Stockholm Convention. Capacity Strengthening and Technical Assistance for the Implementation of Stockholm Convention National Implementation Plans (NIPs) in African Least Developed Countries (LDCs) and Small Islands Developing States (SIDS). Angola, Botswana, Eritrea, Ethiopia, Gambia, Ghana, Kenya, Lesotho, Liberia, Malawi, Mauritius, Mozambique, Namibia, Nigeria, Rwanda, Seychelles, Sierra Leone, South Africa, Swaziland, Uganda, United Republic of Tanzania, Zambia, and Zimbabwe.